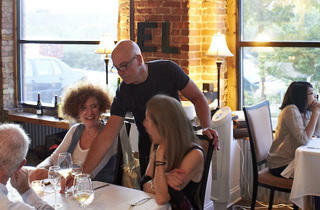 To get to EL, Phillip Foss’s 16-seat BYOB, you drive down an industrial alley in a crossroads of railway lines on the city’s Southwest Side. You may feel nervous. You may wonder whether deciding to shell out $135 for a 12- to 14-course meal was wise. But then you see Talbott, the relaxed-but-professional, warm-but-attentive host/waiter/sommelier (officially, “dining-room manager”), standing at the door. 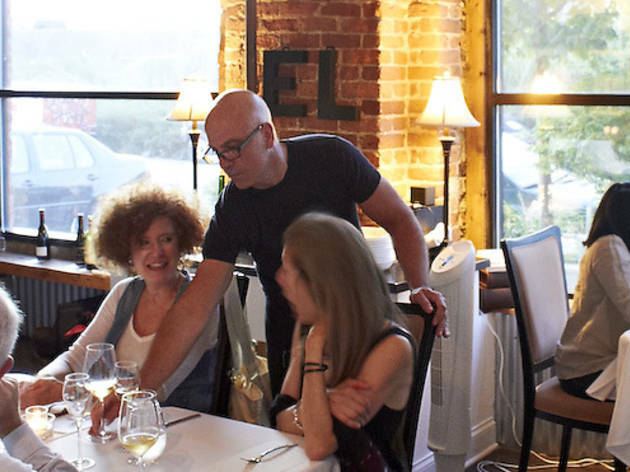 He quickly learns your name, attends to your wines and sets the congenial, energetic tone that makes dining at EL a one-of-a-kind experience. 2419 W 14th St (312-226-8144).